This week on the Experience Matters Podcast, Kent Clothier Sr and Kevin Hommel are talking about what it takes to scale your business to the next level. As you will hear in this episode, this didnt happen by accident. This was a strategic plan that took an incredible amount of teamwork, training, innovation, hard work and execution. Listen to the podcast below as they share key takeaways that helped scale Memphis Invest to where it is today! This week on the Experience Matters Podcast, Kent Clothier Sr, and Kevin Homel are excited to have Chris and Brett Clothier join the show! I'm sure you have heard...sometimes business and family aren't necessarily the best combinations. However, the Clothier family have successfully built a 100+ million dollar "family owned" company together! Now, that is not to say there haven't been some disagreements here or there...as you will hear in this podcast, there have been some serious...we'll call it "discussions" along the way. However, the family has learned to work together to ultimately bring out the best in qualities in each other to create a great a one of a kind "family owned" business! Watch the podcast below as the Clothier family talks about their journey in business together! This week on the Experience Matters Podcast, Kent Clothier Sr, and Kevin Homel discuss "Fulfilling Your Potential". For others...You love the constant challenge of achieving greatness. You love for others to push you outside of your comfort zone and propel you to achieve your true potential. "As a leader, it is all about inspiring others around you to achieve their untapped potential"
This week on the Experience Matters Podcast, Kent Clothier Sr, and Kevin Homel discuss "Mental Toughness" and the impact it has on succeeding in your journey. This week on the Experience Matters Podcast, Kent Clothier Sr, and Kevin Homel talk about the book, "Little Foot", that Kent Clothier Sr, wrote. Two years ago, Kent wanted to illustrate the importance of kindness and friendship, to children and adults alike! From manners to sharing, this little book shows that all anyone wants is respect and friendship. Request your book before January 10 and we'd love to send you a complimentary copy of this heartwarming book! CLICK HERE to request your Little Foot book copy! This week on the Experience Matters Podcast, Kent Clothier Sr, and Kevin Homel talk about the term "Inspect what you Expect". This is a phrase that Kent Clothier Sr, has been using to motivate and empower his team for over 30 years. When you set the precedent for what is expected of your team but never follow up on accountability, are you truly setting them up for success? As a leader, it is extremely important to follow-up with your team to praise or show recognition for a job well done or challenge and motivate them to do better when improvement is needed. Watch the video podcast below to hear them dive into this topic! This week on the Experience Matters Podcast, Kent Clothier Sr, and Kevin Homel talk about hiring for excellence. Successful business owners and leaders know that finding the right people to work for you will make or break your business, while poor hiring decisions can cost you big time. Bad hires are expensive in terms of the effort and money that is paid and lost, not to mention the negative impact it can have on your culture. So....How do you make sure you are hiring the "right" person? 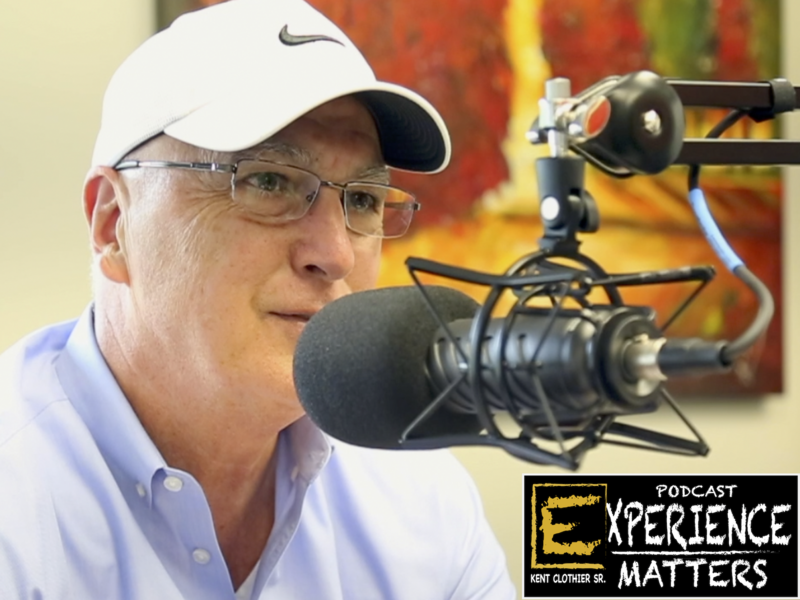 This week on the Experience Matters Podcast, Kent Clothier Sr and Kevin Homel continue their podcast from Experience Matters Expo 2017 in Grapevine, TX. In this episode, we invited 4 current clients on the stage to have "real" conversation and answer questions with people who attended the event. This is part 3, in our 3 part series.